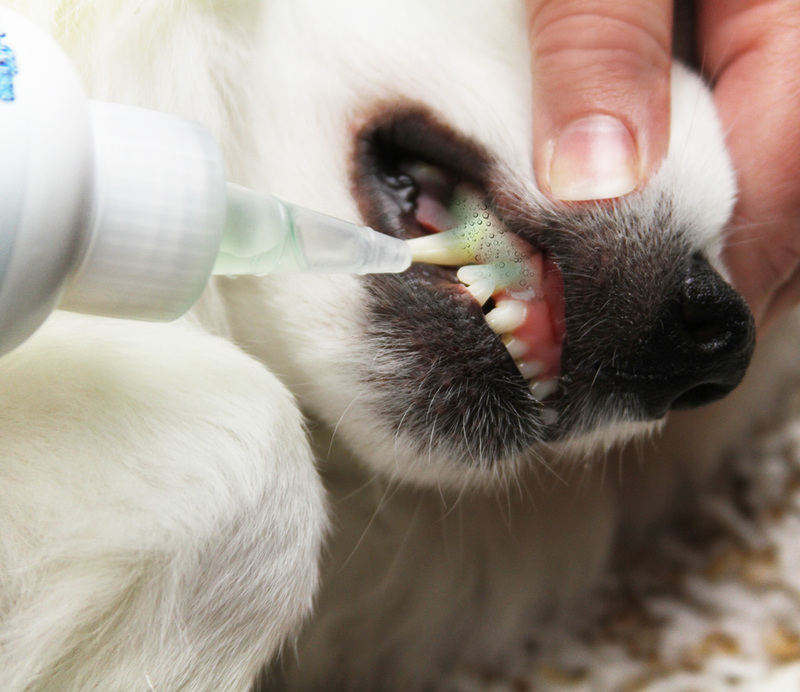 Pet Kiss Brighter Bite Dental Gel – Whitening (Vanilla Mint) – PetKiss Inc.
Did you know that by age three, 80% of dogs and cats show signs of oral disease which can lead to serious health problems? 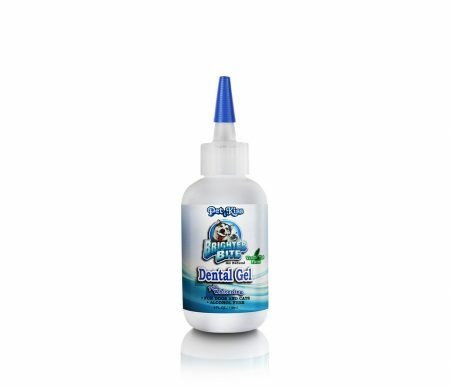 Pet Kiss Brighter Bite Dental Gel freshens breath and cleans teeth naturally. 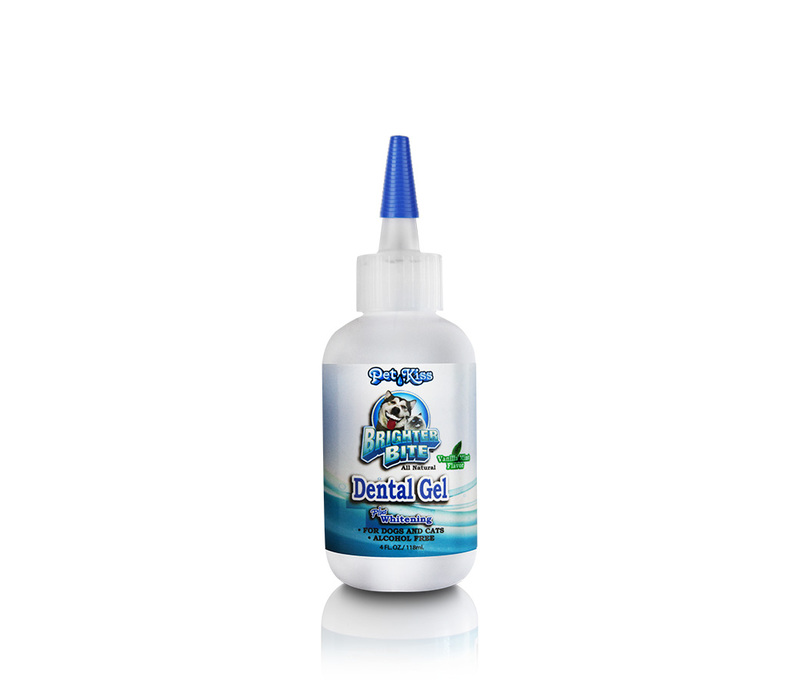 This effective gel helps provide the essential daily oral hygiene care your pet needs. It’s made from an all-natural blend of zinc, chlorophyll, propolis, grapefruit and vanilla mint. 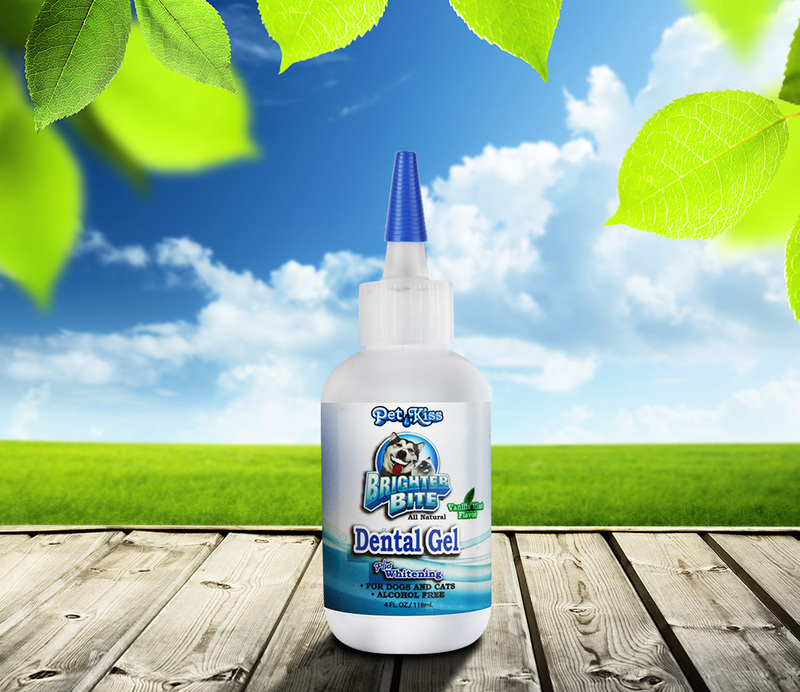 Try our Pet Kiss Brighter Bite Dental Gel and give your pet a healthier life — naturally!